In previous articles, SIAL investigated the emerging role of connected objects in the world of nutrition. 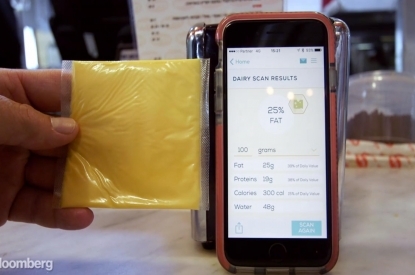 Meant to track what we ingest, these questionably reliable gadgets continue to evolve, with the most recent strides in nutritional tracking coming from the connected health industry. SIAL dives back into the world of portable technology (aka “wearable tech”) that brings to mind Star Trek and Dr. McCoy’s Tricoder, that hybrid biosensor-spectrometer capable of diagnosing all types of pathologies noninvasively. Back to the future with SIAL. 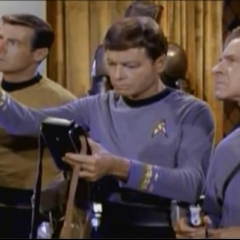 It turns out Star Trek’s Tricoder was no mere flight of fancy. Enter molecular nanodevices like the Airo bracelet from Canadian start-up Airo Health. This revolutionary bracelet uses Near Infrared Spectroscopy (NIRS) to analyse the quality of our diet. Nutrients in the bloodstream are detected via light spectrums of light that distinguish between proteins, fats, sugars and water. Indeed, several start-ups in nutritional scanner industry are making use of this technology, among them Tellspec. 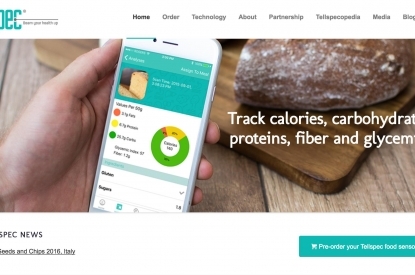 “The TellSpec scanner will identify calories, macronutrients, ingredients, allegens and chemicals in food and beverages, and inform consumers about the relationship between food composition, consumption and health“, the company said in a press release. Readers of Frank Herbert will be reminded of the “Poison Snooper”, the gadget featured in the author’s 1965 cult novel, Dune. These imaginary tools made use of an olfactive spectrum in order to detect toxic substances. Spectroscopy (NIS), thanks to it’s SCIO application. Today, people call it the « Shazam of food », in a nod to the musical referencing application dedicated to recognizing tracks. Meanwhile, if Near Infrared Spectroscopy (NIRS) is old news in laboratories, it’s publicly available counterparts (optical nanosensors) require the ability to collect large quantities of information in order to be able to track the entire range of possible variations in food. “It looks quite interesting from the website information, but I think they are slightly overstating the capabilities of the instrument in their marketing”, he explained to CNET. « Much of the data provided for the analysis seems to come from the user, and the rest could be based on algorithmic guesswork», he says. “ To accurately identify the qualities in one particular apple, you would need to partner with a company that would give you access to millions of apples”, he tells FastCompany. Born of a partnership between Target, MIT’s Media Lab and Ideo, spectroscopy is a subject receiving lots of attention at the “Food + Future coLab”. It is viewed as way to empower tomorrow’s consumers. "What if, for instance, a customer could use a spectroscopy machine in the store to see how old a piece of fruit was? Could Target then do dynamic pricing on its produce?" Perhaps fresher produce is the answer. To be continued.